As a parent, you want to protect your child from any sort of harm, whether it be a broken bone or a broken heart. That first injury, that first glimpse of blood against creamy baby skin, nearly stops your heart. When Cadence started walking three months ago, we realized that her first bumps and bruises wouldn’t be far behind, and she’s already had her share. There was a black eye from a faceplant against the file cabinet, and a fat lip from falling down while trying to swig from her sippy cup. Last night, she slipped on a book and fell face first against the metal corner of a trunk. She only cried for a few moments, but wasn’t lucky enough to escape unscathed. 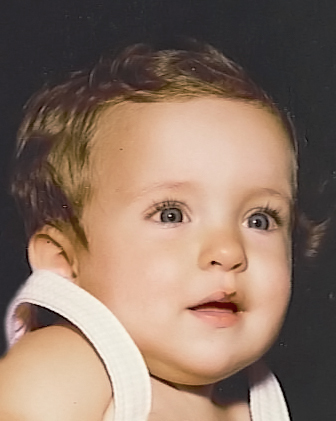 Looking at my baby’s bleeding face, I had a brief moment of deja vu, and had to go digging through some of my old albums to find photos of myself at the same age. If the photos of me with all my owies are any indication of what is to come, then we are in for a whole lot more! 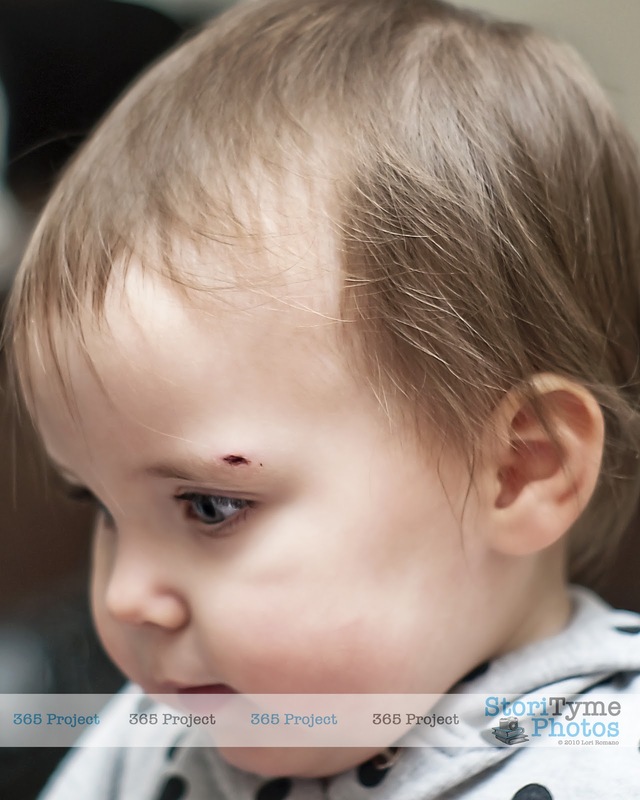 Today’s 365 Project entry is dedicated to my tough girl and her first big booboo. >I can't believe how much she looks like you! So happy she didn't need stitches. Good luck with that blood pressure, Mommy! !